Today is Veterans Day. 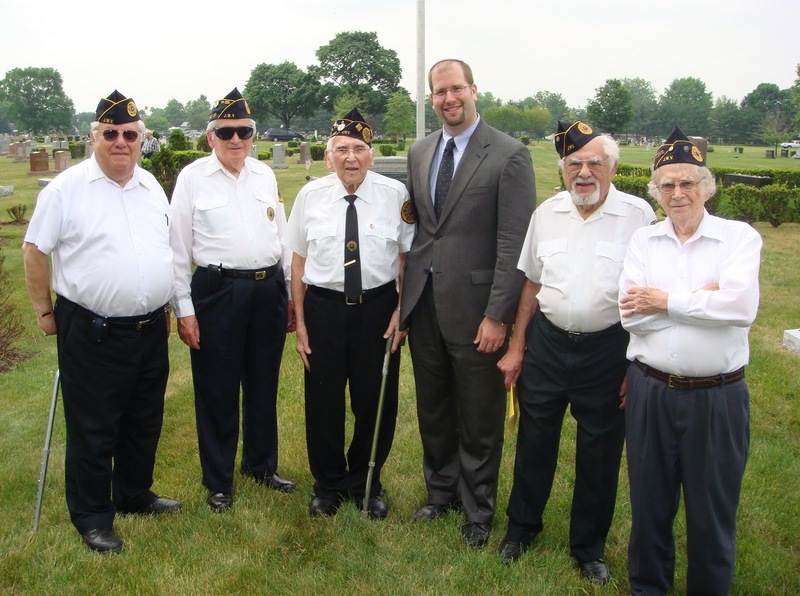 It is time for us to think about how we can reach out to our Jewish servicemen and women, and show them how appreciative we are for all that they do for our country and to ensure our freedoms. One of the most active organizers of Veterans Day activities is the Jewish War Veterans (JWV), the oldest veterans group in the country, founded in 1896 for veterans of the Civil and Spanish-American wars. This past Monday evening at the annual induction gala of the Michigan Jewish Sports Hall of Fame, in addition to the induction of several local Jewish sports figures, the Michigan Jewish Sports Foundation also honored Jewish War Veterans of Joseph Bale Post #474. A special plaque will soon hang in the Michigan Jewish Sports Hall of Fame to honor and celebrate the contributions to athletics by those who were lost or maimed in war and never had a chance to fulfill their athletic dreams. The Pfc. 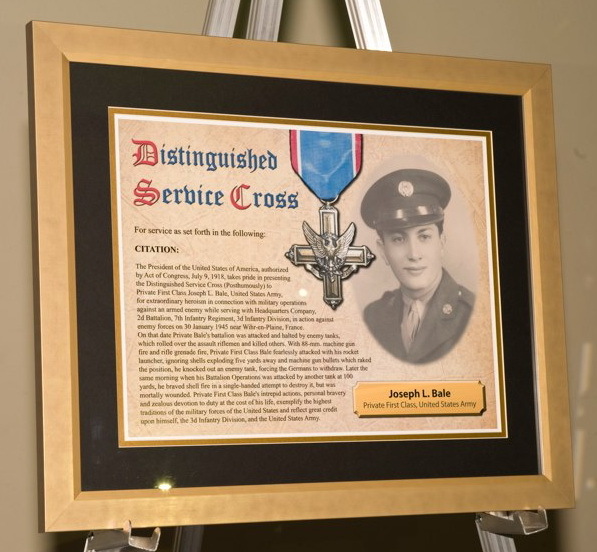 Joseph L. Bale Post #474 of the Jewish War Veterans was dedicated in memory of Joseph Louis "Little Joe" Bale who was born in Detroit in January 1924. It eventually grew to become the largest post in the Department of Michigan. Little Joe's cousin, "Big Joe" served as Post Commander, as well as Department of Michigan Commander. Throughout Jewish texts and our history, we see that we have always been a nation that has fought for freedom. Our biblical ancestors like Moses, Miriam, and the Maccabees believed in service above self. We owe our lives to those who gave their lives for our freedom, not only our freedom as Jews, but also as Americans, and as individuals. Thus when we reach out to our Jewish brothers and sisters in the military we are making the statement that we too believe in the importance of freedom and the importance of people regardless of our politics. For regardless of what our political persuasion may be, our Jewish servicemen and women need us to stand with them and support them. So, what can we do? We may not be able to serve as chaplains or convince others to serve as chaplains, but we can create personal connections with Jewish soldiers and show them that we care. We can do this by writing letters and sending emails of support and appreciation. We can help meet the religious needs of Jewish soldiers, by collecting and sending them supplies for living a Jewish life in a foreign country. The Jewish Welfare Board does their best to get Jewish ritual items and even holiday food items to our Jewish soldiers, but their support can only provide so much and there is always more that is needed. Perhaps with Hanukkah approaching as the next Jewish holiday we should consider collecting supplies to send to a military base abroad. Items that perhaps we take for granted, such as grape juice, candles, dreidles, and even chocolate gelt. Today, we are grateful for the many Jewish Americans who serve in our military. Their efforts and example help advance the cause of freedom and provide hope for people around the world. We, as Jews, can stand tall and proud of our Jewish soldiers’ accomplishments, as veterans of past service and as current participants in our country’s Armed Forces. It is our sacred duty to honor and remember those who try to bring God’s sheltering presence to the world through their service to our country. May we feel called to help bring the light of Judaism to our brothers and sisters in the military, and may God’s presence continue to be with all who have given of themselves to serve in our country’s armed forces. 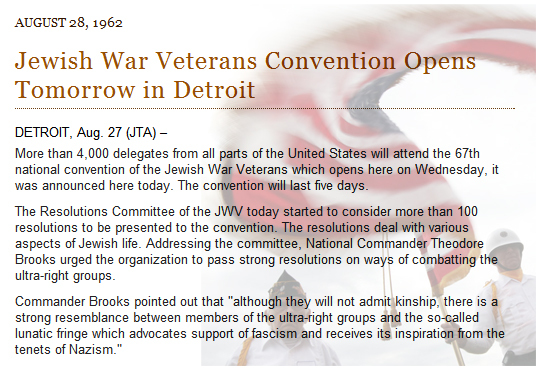 Today is a wonderful day to make a donation to the Jewish War Veterans. The video below introduces the new memorial that honors Jewish chaplains at Arlington National Cemetery. Todah Rabbah to all of our men and women in uniform – present and past.